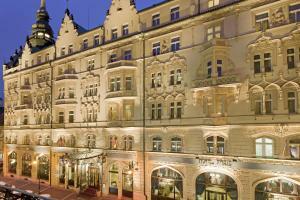 Situated next to the Art-Nouveau Municipal House and the elegant Na Prikope shopping street, the 5-star Hotel Kings Court enjoys a unique location in the heart of Prague. The exclusive Spa Kings Court includes a small pool, a Finnish sauna and a steam bath. 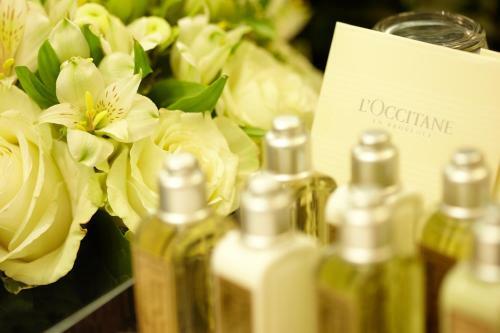 Soothing massages can be booked on request and fitness facilities are available free of charge. 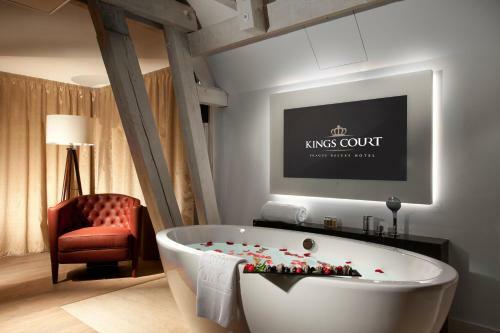 Behind the historic facade of the Kings Court hotel you can find stylishly furnished rooms featuring air-conditioning, a flat-screen satellite TV, a tea/coffee maker and a laptop-size safe. 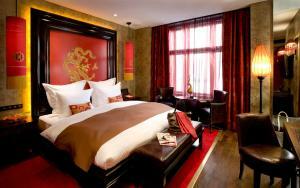 Buddha-Bar Hotel Prague price per day from €158 The first luxury Buddha-Bar Hotel in the world is located in the vibrant heart of Prague, close to the Old Town Square and the fashionable Parizska shopping street. A spa centre with a hot tub, a sauna and massages is available on site. 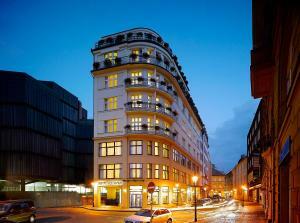 The Buddha-Bar Hotel Prague restaurant offers you an exquisite culinary experience. Enjoy the ultimate in atmosphere, "eatertainment", highly personalised services and wonderful rooms, designed to meet the guests' highest expectations. 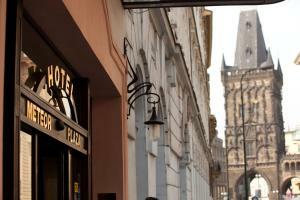 K+K Hotel Central price per day from €99 The amazing K+K Hotel Central is situated in the heart of Prague's Old Town, only steps away from Prasna brana (Powder Tower) and enchants with its unique Art Déco architecture. Blending contemporary design, state-of-the-art hotel technologies and all modern amenities this hotels' offer is hard to beat. The close proximity to all the wonderful sights, museums, shops, restaurants and business centres makes the K+K Hotel Central particularly attractive to both business and leisure travellers. Restaurant Zdenek's Oyster Bar, Prague Guest reviews: 9,2/10 ~ 0,3 km from Hotel Kings Court Address: Mala Stupartska 5, Prague. Cuisine: Seafood. 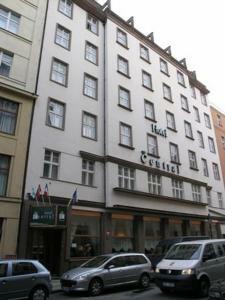 Restaurant Nase Maso, Prague Guest reviews: 9,4/10 ~ 0,3 km from Hotel Kings Court Address: Dlouha 39, Prague. 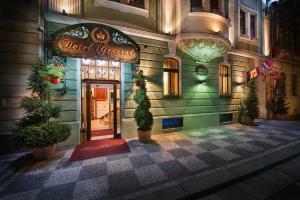 Restaurant Indian Jewel, Prague Guest reviews: 7,2/10 ~ 0,3 km from Hotel Kings Court Address: Tyn 6, 11000, Prague. Cuisine: Indian. 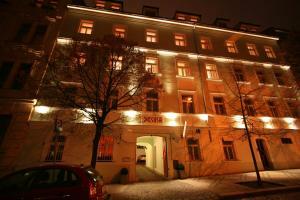 Restaurant Grand Cru, Prague Guest reviews: 9,6/10 ~ 0,5 km from Hotel Kings Court Address: Lodecka 4, Praha 1, 110 00, Prague. Cuisine: International. Restaurant K The Two Brothers, Prague Guest reviews: 9,4/10 ~ 0,5 km from Hotel Kings Court Address: Petrska 1136/12, 110 00, Prague. Cuisine: Indian.